Dr. Paul Moschella, 89, of Farmington, died Friday, February 28, 2014 at Amberwoods in Farmington. He is survived by his wife, Jeanne (Bonetti) Moschella of Farmington; his son Jeffrey and his wife, Maria of Melbourne, FL, and a niece, Patricia Rohan of South Windsor. Paul was born in Newton, MA in 1924, where he began his life-long quest for knowledge- first, in his early years as a graduate of Boston Latin and then Newton High School. Paul was a United States Army veteran of World War II and upon his return from service he continued his education at MIT where he earned a BSME in 1947 and a BSIE in 1949. He soon acquired an MSEE from RPI and ultimately earned his Ph.D. in Business from the University of Massachusetts at Amherst. These years of education were put to excellent use during his career-building years. First at- United Aircraft’s Hamilton Standard Division, where he was soon promoted to Chief Industrial Engineer in the Division. Secondly- as Chief of Manufacturing Planning for United Aircraft Corporate Systems Center, after which, he became Director of Operations, Military Systems Division for Lockheed Electronics Co. Being himself a beneficiary of education, the importance of passing on to future generations the need to learn was uppermost in Paul’s mind. He now focused on the classroom and his desire to teach others. He first served as Adjunct Professor of Management at the Hartford Graduate Center of RPI and then at the University of Hartford where he would enjoy 30 satisfying years as a Professor teaching Strategy in Business. He garnered the respect and admiration of peers and students alike. Paul’s life-journey was centered on Education. First, his own and with his growing appreciation of its value, his desire to educate others. In that goal, his was a life well-spent! In his private life, Paul carried his competitive spirit into his enjoyment of the game of tennis at Farmington Farms for 30 years. On the court is where he met and enjoyed the friendships he so valued. 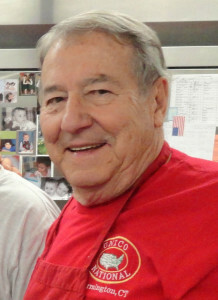 He took pleasure in active membership with others in The Italian American Service Organization (UNICO), as well as maintaining an abiding interest in the MIT Club, Habitat for Humanity, and The Fidelco Guide Dog Foundation to which he was a generous contributor, strongly believing in their mission. A memorial celebration of Paul’s life will be announced at a later date. Memorial contributions may be made in his name to Farmington UNICO, P.O. Box 238, Farmington, CT 06032 or to Fidelco Guide Dog Foundation, Inc., 103 Vision Way, Bloomfield, CT 06002. 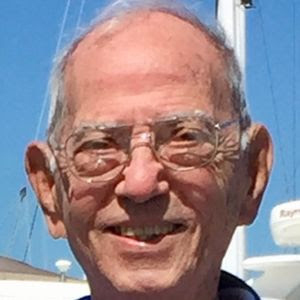 Joseph D. Filomeno, CPA, 85, of West Hartford, (CT) beloved husband for 39 years of the late Yolanda Lynn (DiLoreto) Filomeno, passed away peacefully on Sunday (October 6, 2013) with his family by his side. Born on November 22, 1927 in Hartford, he was the son of the late Salvatore Sam and Mary (DeFranco) Filomeno. He was a 1945 graduate of Bulkeley High School. After serving in the Army, he graduated from UConn with an Accounting degree in 1951. Joe was always looking to improve life for himself and those around him. The son of a fruit vendor, Joe went to college, became a CPA and went on to establish Filomeno & Company in 1966, a prominent accounting firm in West Hartford. He now joins his loving, devoted and supportive wife Lynn in heaven. His greatest joy was his Cape Cod home: summers filled with fishing, boating, cookouts and making his famous baked stuffed clams. He especially enjoyed Sundays on the outer beach with his wife and family, sharing laughs and smiles. He will be dearly missed by his three loving sons and daughters-in-law, Daniel and Franca of Rocky Hill (CT) Thomas and Madelyn of West Hartford (CT) and Michael and Jeannie of Longmeadow, MA. He loved and was extremely proud of his nine grandchildren and their accomplishments, whether it be sports, school or college graduations: Mark, Joseph, James, Nicholas, Christopher, Madelyn, Alexander, Jacquelyn and Taylor. He is also survived by two beloved sisters, Anna DiCiccio of Wethersfield (CT) and Marie Rizzio of Old Saybrook (CT); his sister-in-law, Elizabeth DiLoreto of Farmington, plus 13 wonderful nieces and nephews who were all so special to him. Funeral services were held October 10th in Connecticut. Donations in Joes memory may be made to either the St. Francis Hospital Oncology Department and mailed to: St. Francis Foundation, 95 Woodland St., Hartford, CT 06105 or The Filomeno Family Accounting Scholarship Fund-please make checks payable to The UConn Foundation, Inc., 2390 Alumni Drive, Unit 3206, Storrs, CT 06269. Joseph J. “Shoosh” Algiere, 93, of Farmington, beloved husband of the late Catherine P. (Gencarelli) Algiere, passed away peacefully Sunday, December 13, 2015 at the home of his daughter and son-in-law in Maryland. Born October 8, 1922 in Westerly, Rhode Island, son of the late John and Nancy (Amato) Algiere, he resided in Farmington since 1960. Joe was a United States Army veteran of World War II seeing active combat duty on the Burma Road and in China, India and also in Central Burma. Joe was a business owner and entrepreneur, having been the original founder of Bess Eaton Donuts and The Whole Donut Corporations. He was a member of UNICO, the West Hartford Squires and the Knights of Columbus. Family was of the utmost importance to Joe. He was an excellent father and greatly enjoyed the time he spent with his children and grandchildren. He was a hardworking and successful businessman who was very generous and enjoyed the simple things in life. He loved gardening and could fix anything. He touched a lot of people’s lives in many ways. Joe is survived by his three children, John J. Algiere and his wife Nancy of Simsbury, Louise A. Carlson and her husband David of Columbia, Maryland, and Robert J. Algiere of Avon, his sisters, Theresa Pucci and Evelyn Anderson both of Westerly, Rhode Island, his brother, Franklin Algiere of Westerly, Rhode Island, seven grandchildren, Patricia Consiglio and her husband Christopher, Kathryn Campbell and her husband Charles, Joseph Patrick Algiere, Elizabeth Algiere, Brian Carlson and his wife Rebecca, Kevin Carlson, Jacob Algiere and two great-grandchildren, Ryan Consiglio and Henry Carlson.